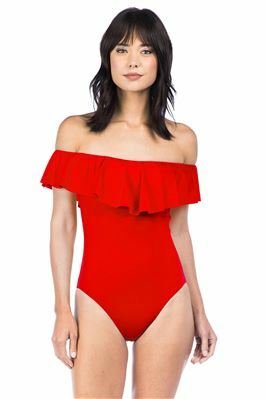 Nora one piece bandeau with cut out front, knot detail, and color block. Offers removable straps. Made from Italian four-way stretch material that is anti-pill, anti-bacterial, chlorine resistant, and quick-drying.